As you start the wedding planning process, you may have wondered why certain vendors charge what they do and why they’re worth investing in. When it comes to your wedding photographer, their value has to do with so much more than a gallery of photos you receive six to eight weeks after the wedding. Before hiring someone to capture your big day, keep these reasons in mind to help you invest in a photographer and experience that’s more than just another vendor. When you envision your wedding, you probably picture yourself spending time with family, friends, and of course your new spouse. However, there’s one person you actually spend more time with than anyone else on the big day: your photographer. From getting ready until sparkler send-off, your wedding photographer is with you every step of the way, capturing moments as they pass you in a whirlwind of joy. When you start researching wedding photographers, keep in mind that liking them as a person is just as important as liking their work. Besides your actual wedding day, you actually spend more time before and after the wedding with your photographer than any other vendor when you think about your engagement session and photo delivery! Find someone you click with, whether that’s through bonding over Parks and Rec quotes or your mutual love of dogs. During your Skype call or in-person meeting, see if the photographer makes you laugh, makes you comfortable, and makes you inspired. Are you already making plans to grab a drink or see your favorite band together when they come to town next month? That’s a great sign! Hire someone you want to hang out with and that time spent together on your wedding day will be as comfortable and effortless as possible. In addition to liking your photographer, you’ve seriously got to trust them! Trust in your wedding photographer goes beyond knowing they’ll show up on time and deliver your photos according to the contract. It’s so important that you also trust in their process. We’ve written before about why your photographer doesn’t need a shot list. The root of that post lies in trusting that they not only know that you’ll want photos with your bridesmaids and of the cake cutting, but that they’re going to capture the real, unscripted moments that are unique to you and your celebration (AKA the photos you really want from your wedding day!). While this is likely the first wedding you’ve ever planned, your wedding photographer does this every weekend and knows a thing or two about what to expect. In addition to playing the role of the person who takes your wedding photos, your photographer can also be your biggest advocate throughout the wedding process. Lean on them when it comes to making your wedding day timeline because they know how to get you the best photos in the best light and also keep you from feeling stressed, overwhelmed, or tired in the process. You don’t want to feel “over it” on your wedding day, and neither does your photographer — that doesn’t make for very good photos! Ultimately, heeding your photographer’s advice only makes the day go more smoothly. Hand in hand with trust comes connection. Those emotional photos you fell in love with in your photographer’s portfolio didn’t just happen out of thin air. Having a deeper connection with your photographer allows them to capture intimate moments throughout your wedding because you let them see that moment unfold. Part of this connection has to do with trust; trusting your photographer’s process means giving them the space to be an artist. Your photographer wants to create the sort of images seen in their portfolio of you, but they need for you to let them guide the session to make their vision happen. While all wedding vendors can be considered artists, there’s something different about what photographers create because they are doing so in the moment. They have two people in front of them who are all dressed up and ready to celebrate the most exciting day of their lives and, despite a rapid timeline and minor stressors throughout the wedding, they’re going to create some freakin’ magical art on the spot. While other vendors have months to plan and perfect each detail they contribute to your wedding, your photographer just needs to feel connected to you as possible in order to tap into the “why” of your wedding – the beautiful marriage that’s about to begin, the one-of-a-kind relationship you’ve had up until this point, and the little quirks that make you fall in love with each other more every day. Getting along with your other vendors is important, but the connection you have with your photographer is unparalleled. What a photographer does for their client (that’s you!) is really twofold: there’s the experience they create leading up to and on your wedding day and then there are the images they deliver when all is said and done. With the exception of a few iPhone photos your friends and family take during the day, your wedding photographer’s images are all that you have to remember your wedding by. No matter how much you spend on flowers, food, or fabulous reception chairs, the one thing you get to keep is your photos. When you look through your wedding album, whether that’s a leather-bound book you pass down to your children or a digital gallery you’ve shared on Facebook, you’ll be able to remember it all: the songs that played while you danced for the first time as a married couple, the look your bridesmaids gave you when they saw you in your dress for the first time, the tears in your partner’s eyes (and yours too!) as they spoke their vows aloud at the altar. Your wedding photographer is able to give you something that other vendors just can’t, and that’s ultimately why investing in someone whose work you believe in and who you’d totally hang out with in real life is worth it. P.S. Do you know who else these points apply to? Videographers! Check out our post on what to know before hiring your wedding videographer for more inspiration. Yes yes yessssss!! Brilliant article, all so true. Love it!!!! Beautifully written. Awesome article! This is the most relatable piece I’ve read in a long time. This post is so relatable. This is the reason why we interviewed several photographers and kept in touch with a few before deciding on one. That human connection was vital for us. It was a bit of a challenge because we had a destination wedding and we wanted to hire someone local so communication was done mostly through Skype. 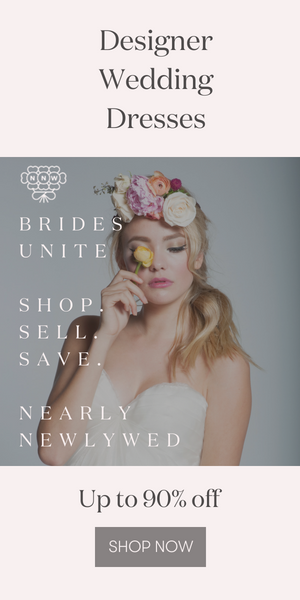 We eventually went with a photog we found from this global wedding marketplace https://ibride.com/. He just seemed as invested as we were and wasn’t afraid to contradict us if he knows our idea isn’t gonna work and pitch his own. We really appreciated that a lot because he knows what he’s doing more than us. The pictures we got were really sublime and we probably won’t stop showing them to guests for a long time. Completely agree with you. It is so important to select the right wedding photographer. In fact, this is one of the most important decisions. It is so important to have a connection between photographer and the couple for the pictures to have the magical factor. Well said. trusting in the wedding photographer before and during the wedding day is something really important because it allows you and your photographer to feel more free to create together while sharing such an important day in the life. Wow, so good. Relationship is everything! Great advice, and good photos too! Such an amazing post about why wedding photographer isn’t just another vendor. Your post are very well written and detailed. It’s very helpful. Thanks for sharing this one with us.